Since dashcams have hit the market, they have become an irreplaceable addition for car owners. Truly said, you can’t replace the benefits and features offered by a professional dashcam. Dash-mounted cameras have become one of the best ways to provide extra security to your vehicle, record road trips and protect your 4-wheeled investment from thieves and burglars. Why Invest in a Dashcam? Car dash cameras capture live video while you drive. Video evidence could be crucial in case of an accident. You could also be the lucky one to capture rare footage of storms or lights in the sky that could go viral on YouTube. While in Russia dashcams are extremely common nowadays, in the United States these video devices are just now beginning to have a say in. Needless to say, you can’t use your smartphone instead of a dashcam, because of several reasons. First of all, putting your smartphone on the dash will expose it to excess heat, which may affect its functionality in the long run. Moreover, a smartphone does not last long enough for you to capture several hours of footage, does not record in full HD and becomes useless if you need to take an important call or use it as a GPS device. This is why it is of paramount importance to choose a top-quality dashcam. Professionally-build dashcams are durable, can record many hours in true HD quality and can be hard-wired to your car’s battery, making them less dependent on batteries. On the other hand, cheap cameras are not that satisfactory and can’t meet modern drivers’ demands. Here is how you can be sure that you have chosen the right dashcam for your needs. Follow these steps and you will certainly pick the right product for you. There are countless trustworthy manufacturers that create high-end dashcams for 21st century drivers. To find a good brand, simply look on Google for “top dashcam brands” and spend some time reviewing the brands available on the market. You can then go on Amazon and take a quick look at how real customers have reviewed these brands. 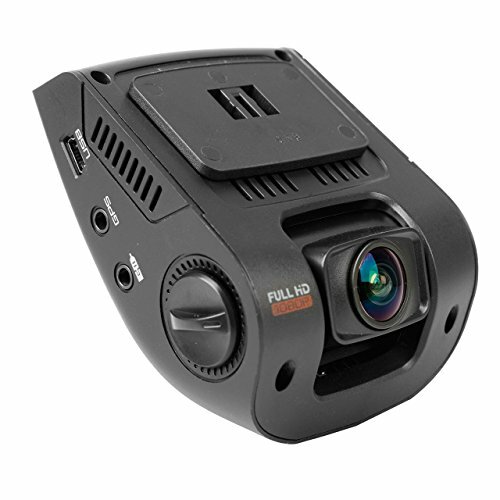 Also read our other articles that might give you some clues on the best brands and models of dashcams available on the market. Auto start and stop: the camera will start rolling once you turn on your engine and will shut down when you turn off the ignition. Over 32 GB memory: a dashcam that offers less than 32 GB of storage gives you less than 2 hours of recording. Choose a dashcam that lets you use a 256 GB or 512 GB memory card if you want to record seamlessly more than 15 hours at 1080p or more than 20 hours at 720p. Recording angle: the wider the recording angle, the better. Aim for a dashcam with a recording angle of more than 150 degrees. Display: typically, you need the display only to visualize the material recorded or to see what the camera is recording. However, it is better to have a dashcam with a nice 3” display that one with no display whatsoever. Discreetness: You don’t want your camera to stick out on your car’s windscreen. 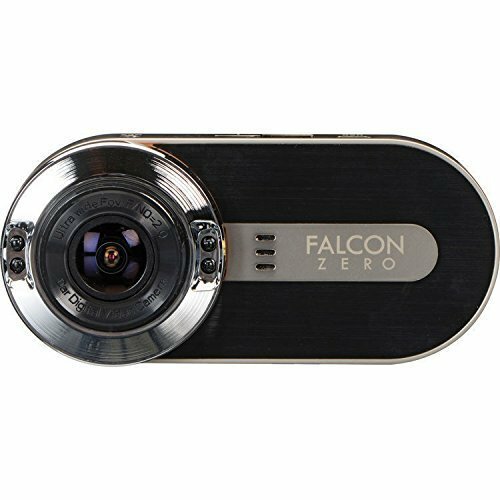 Dash cams come in various sizes, small camera’s like the Mini 0805 & Mini 0806 are small plus the new Koonlung K1S, very small hidden camera with many features. Video Resolution: One of the most important feature’s in a car camera’s is the video resolution it can record. Many cheap brand claim to have Full HD, look further in details you will find its recording at VGA resolution (640×480), quality on theses recordings are very poor and does not have much details ie number plates in distance. Night Video Quality: Car cameras at HDDashcam are with a resolution of 1080p or above capture decent video during the daytime. The ability to grab good quality video footage at night is what separates the great camera models from the average, cheaper models priced £20-40 wont have theses extra features but will claim too. Loop Recording: A feature which is highly recommended in a car camera, to make sure your camera doesn’t just stop recording when it runs out of disc space on the memory card. Loop recording means that once your storage is full, the camera automatically overwrites the oldest files on the memory card, giving you continuous recording at all times. G-sensor: A G-sensor is triggered by an impact or a sudden braking. This tells the camera and automatically marks the current footage for safekeeping, loop recording will not over record this footage, its kept safe. Parking Mode: If someone damages your car in your absence, a car camera cam with parking mode will come on and start recording, so you can see who hit your car. Date and Time Stamp: This is very useful if you ever need to use your video footage as evidence. Make sure you set the date and time correctly when you install your camera. Koonlung K1S has a feature MPH, which records your speed, this can be turn off or capped to show only up to 30mph. Screen: A screen is great to see what your camera is recording. Some models will show both front and back, while others will show only the front view. GPS: Allows you to record your exact position and speed, and to blend it into the video feed along with the date and time stamp. Dual-Channel: Most car cameras only record one view, a dual-channel camera also look back of the car out through the rear window, great feature to record from the back, quality of a dual channel dash cam’s are very good but bit more expensive than single channel systems. Build quality is of paramount importance, especially if you travel a lot on different types of road surfaces. Heat resistance is also very important, so take this factor into account when selecting your dashboard camera. Now it all depends on your preferences. While some dashcams are easily conceivable and can “blend” into the environment so that nobody notices them, others are large and bulky. Drivers usually prefer discreet dashboard cameras that can be mounted with ease. Lastly, you need to choose a camera that comes at a great value for its price. Instead of focusing solely on the price, choose the most important features you need and then compare prices with other products. Take a look around our website and choose the right dashcam for your needs. I recommend the Kdlinks as a viable option for your car, but in the end the decision is yours. Hi there, my name is Stuart and I am the founder of Car Dashboard Cameras. Having spent a lot of time researching before purchasing my own car dash cam, I now make dashboard camera reviews and guides to help other safe drivers. CarDashboardCameras.com is a participant in the Amazon Services LLC Associates Program, an affiliate advertising program designed to provide a means for website owners to earn advertising fees by advertising and linking to amazon.com and any other website that may be affiliated with Amazon Service LLC Associates Program. © 2017 Car Dashboard Cameras. All Rights Reserved.